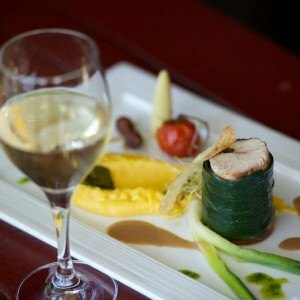 archipelago comprising of five unique islands bursting with flavor, very evident in the exquisite cuisine you will encounter. While the islands share culinary similarities, each is known for adding a distinct ingredient to the Guadeloupe dining experience – Grande-Terre for its sophisticated dining scene, Basse-Terre for its selection of Creole restaurants, La Désirade for its fresh seafood, Marie-Galante for its organic farms, and Les Saintes for its sweet coconut custard treat Tourment d’amour. 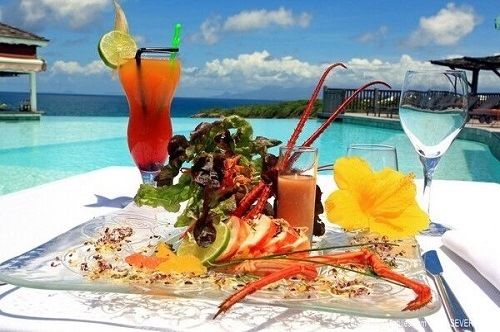 In Guadeloupe Islands, “culinary scenes” are a way of life, as the rich culinary heritage, which expresses Guadeloupe’s French, African, Indian and Caribbean cultural influences, pervades everyday life. 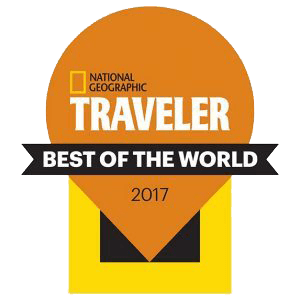 Time honored cooking traditions of French and Creole dishes, co-exist deliciously with contemporary styles and flavors- and when fused, produce mouthwatering specialties such as Nouvelle-Creole Cuisine – a modern interpretation of Creole dishes savored by both locals and visitors. The original name for Guadeloupe, given by the Arawak, is Karukera which means land of beautiful water and not only has the beauty been preserved but it is also a rich source of really fresh seafood. Your Mahi-Mahi, Lobster and even seaweed goes from the ocean to your plate in a mere few hours, resulting in a delicious awakening of your taste buds. 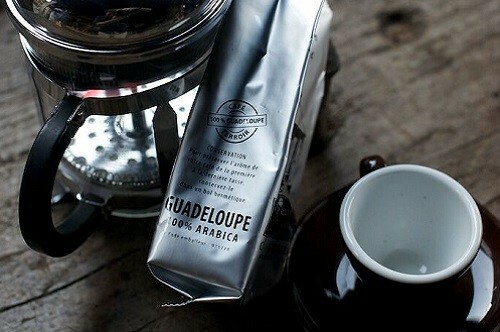 Guadeloupe Islands is the oldest coffee growing region in the Americas. In 1726, Gabriel Mathieu de Clieu (former Governor of Guadeloupe) introduced Arabica Typica coffee seeds to Guadeloupe, originating from the Royal Botany Garden in Paris. This variety of Arabica Typica has remained pure with no mixing with other varieties.Rare are those who know that Guadeloupe still produces coffee. Except beaches and rivers, Guadeloupe has also many gourmet treasures such as “Kassav’”, “Tourment d’Amour”, “Sorbet coco” or Bokit! Kassav’ is a manioc pancake that we taste plain or with salt stuffing (salt cold) or sweet (coconuts or guava jam). 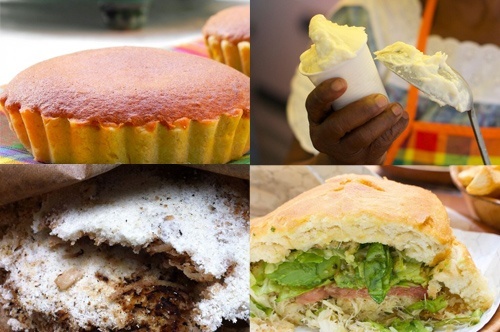 The Tourment d’Amour is a pastry from les Saintes that resembles a height-challenged cupcakes and is flavoured with coconut or other tropical fruits and OF COURSE our famous BOKIT a 100% Guadeloupean delicacy of deep fried naan like bread stuffed with meat, vegetable or fish. 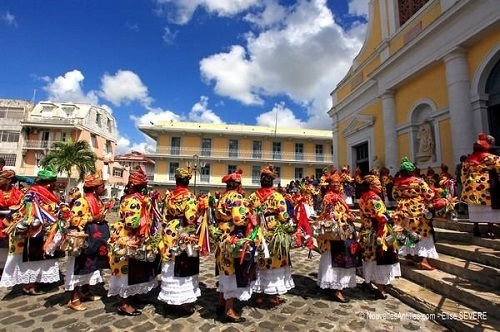 Every August, for almost a century, Guadeloupe Islands honor and celebrate female chefs, bastions of Creole culinary traditions who are known as “Professionals of the Mouth”. Dressed in their traditional chef clothing with headscarves and aprons embroidered with their emblem, they visit the Basilica of St Peter and St Paul to have baskets of food, flowers and cooking utensils blessed by the clergy. Afterwards they walk through the town to a large celebration of dancing and dining. Bursting with flavor and color, our exquisitely displayed markets along the beaches or in the city centers are well worth a detour! You will sample there our local fruits, vegetables, spices and sea products.Well everything you need to prepare your favorite sea–to-table dish! 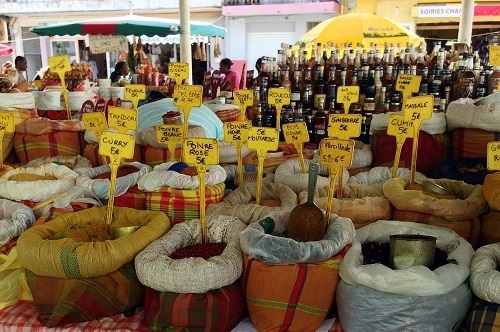 Those markets are an essential part of Guadeloupean life. – Sainte-Anne Market:located in the center of the city along the beach. Open everyday from 9am to 7pm. Farmers sell spice, vegetable, fish (very early in the morning), local rum punch, creole delicacies.Vendors also sell souvenirs and clothes. – Pointe-a-Pitre Market:located in the heart of the city by the harbour next to “Place de la Victoire”. Open every day from 6am to 4pm. 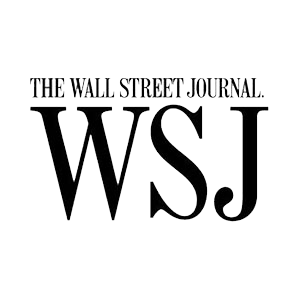 Farmers sell fruits, vegetable, spice, fish, shell fish. – Gosier Night Market: located in the center of the city, between the beach and the church. It’s a Friday might markey only from 4pm to 9pm. Farmers sell spice, vegetable, creole delicacies (like passion fruit/cinnamon/goyave bread, bokit, coconut cake and sorbet…). Local Artists sell there very nice artcraft (lamps, jewely, fourniture all made with local product). 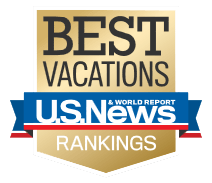 With over 200 restaurants and a rich culinary heritage, the Guadeloupe Islands are a premier dining destination. Our chefs are creatively inspired by the fresh and flavorful ingredients of the archipelago and they deliver a unique gourmet experience. 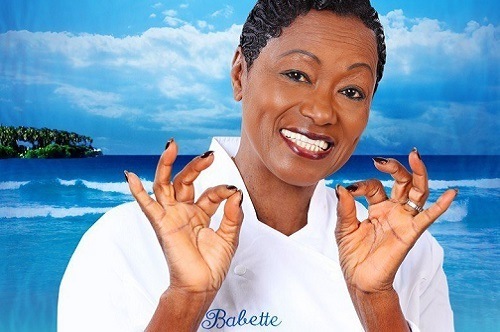 Babette de Rozières, the premier authority on French-Creole cuisine, is a multi-awarded chef, culinary TV host & author, and restaurateur. Rozières was born in Pointe a Pitre, Guadeloupe Islands, where she developed her passion for Creole cuisine through shared moments with her Grandmother who taught her the many secrets of cooking Creole dishes. At the age of 17, Rozières moved to Paris, where on completing her studies she worked within ORTF (The National French broadcasting company) and became the first black female presenter on French TV.